Because I do not have a place of my own to smoke, many of my friends often invite me to their place to smoke cigars. Often that place will be their garage – which during the cold Canadian winters are often heated. Many of those garages (or actual cigar lounges) will have funny names. Gilbert Lutes and his wonderful wife Cindy live in Kemptville, Ontario – about 45 minutes outside of Ottawa – and they have the garage set up wonderfully for cigars… and guys nights in general. Because of his name – G. Lutes, we call him Glutes, and the garage is the Glutes Smoking Lounge. Thursday evening (March 15, 2018) was such a night when we got together to light up, and I took the opportunity to record a few videos, including a couple of cigar reviews. The first review is of a cigar I was gifted and had never smoked before. It is a Nicaraguan Partagas Black Cristal. 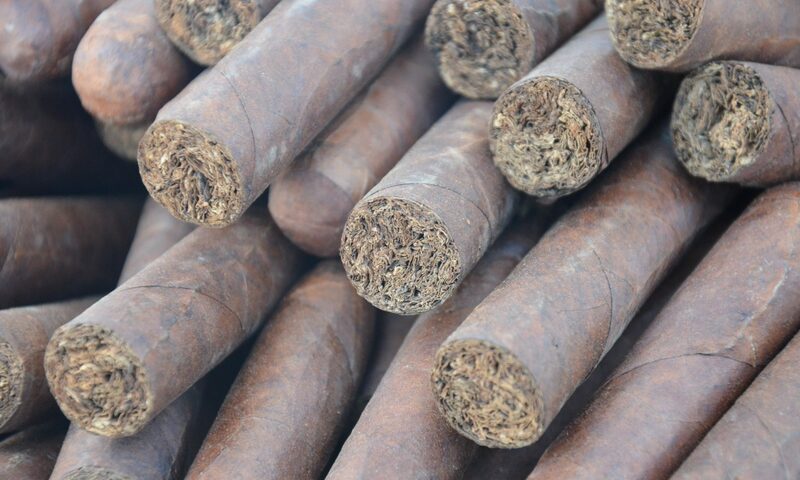 I really enjoyed the cigar, and while some of the footage was unusable, I was able to use the first and the last parts – lighting it, tasting notes, and the overall review at the end. SPOILER ALERT: I liked the cigar. Enjoy the video!